If you need to keep track of your hybrid cloud, you'll need a hybrid cloud visibility solution. Maintaining deep visibility into the interactions of the many components of modern applications, whether they run in the traditional data center or in the various forms of the cloud, can be a complex and costly endeavor. So, which solution is right for your hybrid cloud computing needs? What are the steps to determining your own requirements? This Webinar explores the features and use cases of leading hybrid and multi-cloud cloud visibility solutions so you can compare them against the needs of your hybrid cloud infrastructure and your organization as a whole. Understand the need for hybrid cloud monitoring, including real-time, short-term, and longterm analytics, as well as cost-to-value. Learn about real world uses cases from those who succeeded and failed with hybrid cloud visibility. Learn about a step-by-step process for understanding your own monitoring requirements, and backing the right hybrid cloud visibility technology into those requirements. Understand the tools and technology that you can purchase today, address your hybrid visibility needs. David Linthicum is an SVP at Cloud Technology Partners, and was just named the #1 cloud influencer via a recent major report by Apollo Research. David is a cloud computing thought leader, executive, consultant, author, and speaker. He has been a CTO five times for both public and private companies, and a CEO three times in the last 25 years. 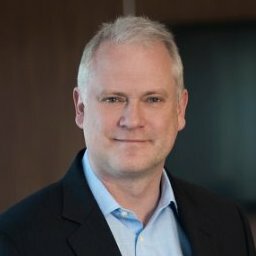 Few individuals are true giants of cloud computing, but David's achievements, reputation, and stellar leadership has earned him a lofty position within the industry. It's not just that he is a top thought leader in the cloud computing universe, but he is often the visionary that the wider media invites to offer its readers, listeners, and viewers a peek inside the technology that is reshaping businesses every day. With more than 13 books on computing, more than 5,000 published articles, more than 500 conference presentations, and numerous appearances on radio and TV programs, David has spent the last 20 years leading, showing, and teaching businesses how to use resources more productively and innovate constantly. He has expanded the vision of both startups and established corporations as to what is possible and achievable. David is a Gigaom research analyst and writes prolifically for InfoWorld as a cloud computing blogger. David also is a contributor to IEEE Cloud Computing, Tech Target's SearchCloud, and SearchAWS, and is quoted in major business publications, including Forbes, Business Week, the Wall Street Journal, and the LA Times. David has appeared on NPR several times as a computing industry commentator, and does a weekly podcast on cloud computing. Paul joined NetScout with the acquisition of Psytechnics Ltd in 2011. Since then he has held the roles of Chief Product Officer for Voice and Video, and Chief Architect at NetScout. Paul was Head of Engineering for most of his 10 year tenure at Psytechnics and was CTO when the company was acquired. Prior to that Paul worked at BT Labs, primarily on voice transmission for GSM and 3GPP. Paul has 25 years of experience in the IT industry and has been actively involved in international standardization for much of that time. Until recently, Paul was a Vice Chairman of the ITU Study Group responsible for "Performance, QoS and QoE" and head of the UK delegation to this group. Paul is a UK Chartered Engineer, Member of the IET and IEEE, and holds a Masters Degree in Electronic Systems Engineering from the University of York in the United Kingdom.